Hello all! Welcome back to my little corner of the web. I thought I'd kick the weekend off with a Writer's Words of Wisdom post. I haven't done one in a while and today is a great day to start it up again. I've been in the publishing world for five years now and have learned a hell of a lot. 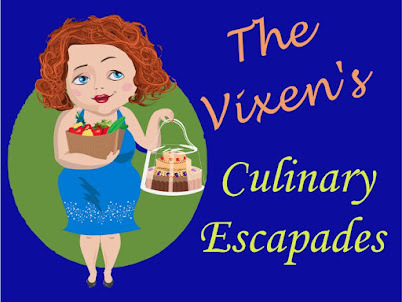 Through trial and error, I've found what to do and what not to do in marketing my pen names and my books. Of course, what works for me, may not work for another but the epic fails pretty much cover everyone. Let me tell you there are some HUGE failures out there and I can't sit back and watch fellow authors continue to fall down the same rabbit holes over and over again. 1. 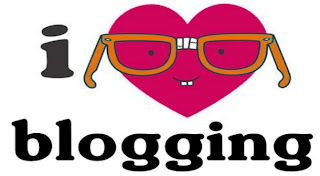 Don't use more than two or three hashtags in a tweet, blog post title or Facebook status. On Twitter, hashtags get highlighted a different color. If you have more than two or three in there, the post is distracting. It causes people to scroll on by your tweet in the stream and never check out your blog, website, or book. You want to stand out among the crowd, not be ignored. By making every other word in your Tweet or post into a hashtag, you will NOT appeal to anyone. They may laugh at you, but they won't engage with you. Why annoy the very people you wish to have in your corner? 2. 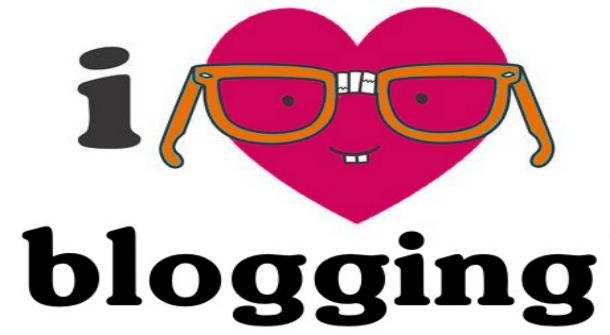 Don't tag obvious words in the title of your blog post. You want to tag KEY words to grab attention. You don't need to add #promotion #ebook #Amazon. For one, those are far too broad to draw in your target audience. Instead, use hashtags that narrow the field. Using #Romance is too broad. Try #EroticRomance. Secondly, you have a limited number of characters for tweets. Why waste the space on words that are already implied? Here's a blog title completely made up by me, but based on a few I've had to edit in my Triberr stream. For those of you who don't know, Triberr is a group sharing site where you join tribes to help you promote your blogs on Twitter and other social media. Twitter is the main endpoint so you need to have engaging titles your tribe mates would want to put out on their feeds. The second one conveys the same message in a shorter format AND it helps bring in the right target audience. 3. 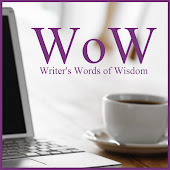 Don't use the @ and # on the same group of words in your tweet or blog title. Use one or the other, but there is no need to use both and waste valuable character space. I've seen this a few times with blog hops. I'm not picking on one hop in particular, but this one pops up in my Triberr stream often: @MySexySaturday and #MySexySaturday. Why have both of them in the same tweet/title? Pick one and use the other for a separate, different tweet. 4. 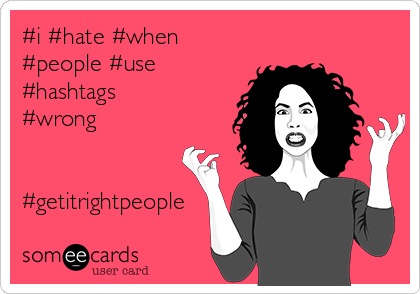 Don't try to use several group hashtags in one tweet or blog post title. This goes along with #1. Limited character space means you have to tailor your tweets and post titles to specific audiences. If you want to get shared by members of different groups, choose the ones specific for your target audience. 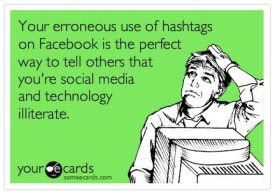 For the love of all that's holy STOP using group hashtags that have nothing to do with your post, are from groups you are not a member of or have no idea what they mean. All you succeed in doing is make your tweet unreadable, labeled as spam and probably blocked by some of the very people you want to follow you. 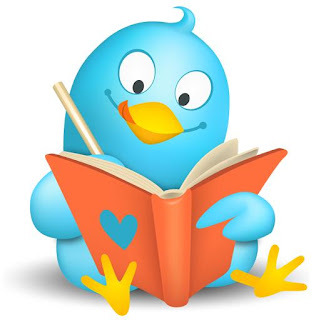 If you belong to several author support groups or tweet teams, then you must create unique tweets for each group. This will help get the word out about your posts much easier and you will gain true followers. 5. Don't start your tweet or blog post title with a hashtag. Remember how the hashtags are highlighted when they hit the Twitter feeds? Having that annoying color change right off the bat can and does put your post on auto-ignore. Sure you may draw in a few people, but most will scroll on by. That's not what you need in the vast Sea of Tweets. You want to stand out and be able to engage. This won't happen if no one bothers to read your content. Of course this is by no means an all inclusive list. I'm still trying to get over the jarring hashtag armies that assault me on Instagram. 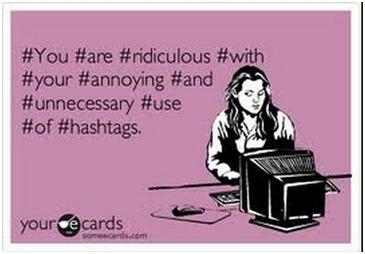 Whoever came up with the idea that stringing 30 to 60 hashtags with every single photo they upload to Instagram, must have been on crack. I hope they'll get control over that soon. I'm sticking to my 2 to 3 hashtag rule there because I cross post to Twitter and Facebook. If you do the same, you'd be wise to choose your hashtags carefully.